Do you know about our Specialist Dementia Nurse Consultancy Service? We are delighted to announce the news following our recent inspection that we have received an overall rating of Outstanding from the CQC. SweetTree’s older persons support services are specifically tailored to reflect our client’s preferences, needs and abilities. From companionship and socialising to intensive 24 hour care. 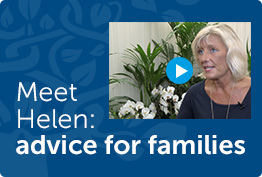 At SweetTree we understand the anxiety that a diagnosis of dementia can bring, our specialist and innovative approach supports both our clients and their families every step of the way. SweetTree’s specialist brain injury service assists clients to establish and meet the goals that they set for themselves, focusing on opportunities rather than obstacles. SweetTree’s specialist learning disabilities outreach service supports adults with a natural, person-centred transition towards greater independence. SweetTree’s specialist neurological conditions service provides comprehensive, high quality personal care and support, specific to the changing needs of our clients. SweetTree’s palliative care team members are specifically trained to support both our clients and their loved ones at end-of-life. SweetTree is an independent boutique care service that delivers support to people in their own homes. Thanks to seventeen years of growth, we’ve become a leading UK care provider and more than 10,000 people living across London have welcomed us into their lives. Whether you require companionship and care at home or more specialist support, our team of highly trained carers are here to help. Our specialist services ensure that the care and support received by all our clients is appropriate to their needs. 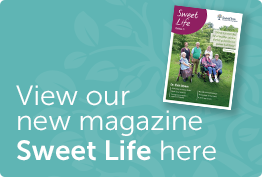 View or download SweetTree Home Care Service’s brochures, helpful information, news and case studies. To be the best, we must employ the best, if you dream about making a difference, then we want to hear from you. Care Assistant Recruitment Open Day!